What was the single most interesting part of the 2019 Consumer Electronics Show? It was how important wireless and 5G will be going forward not only for wireless networks and smartphone makers, but for every other company in every other industry as well. It was no surprise that many of the exhibits at CES 2019 were centered around wireless and 5G. Perhaps because I’m a wireless analyst and columnist, I view the world through this wireless lens anyway. 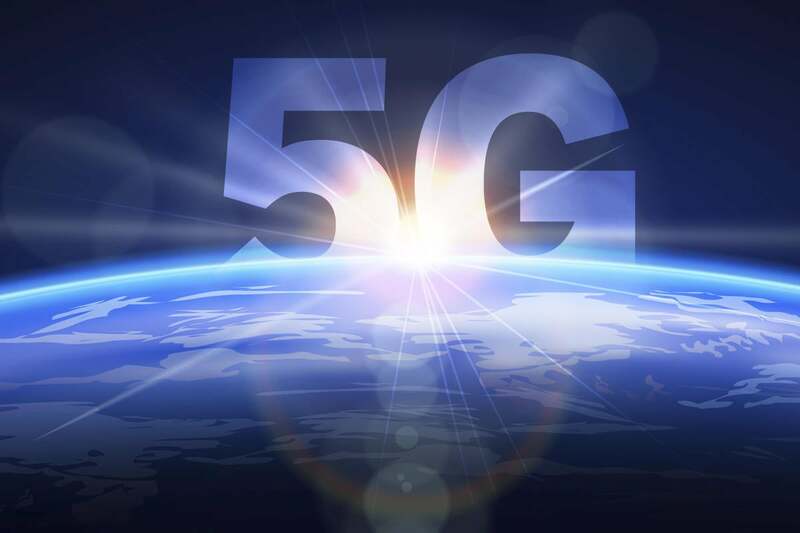 But it should be obvious to everyone at this point that 5G is becoming very real...and that is very exciting for a number of reasons. It’s important for everyone – every company, executive, investor, worker and customer – to understand the transformation that’s occurring. The future will be amazing…and it will all be connected, operated and stored virtually, using wireless, the cloud and the IoT. Sure, there was plenty of wireless news last week at CES from wireless networks, smartphone and tablet makers and more. But if you looked closely, there was also so much from a growing variety of companies who are using wireless to transform themselves and their industries. Many of these companies are using mobile technology to transform what they do and how they do it in their own verticals. They are surprising and delighting their customers, which is giving them a competitive advantage…at least for a little while. Ultimately, competitors will all jump into this same space. At that point, it will change from a competitive advantage for early adopters to just the cost of doing business for every competitor. This is exciting because – just as the smartphone world changed 12 years ago from the Blackberry to the iPhone and Android – the same risk and opportunity faces every competitor in every other industry. And it’s all being powered by wireless. Wireless pay TV, for instance, is going to be a rapidly growing space over the next decade. This will allow users to watch pay TV over wireless networks anywhere in the US, without being tied to their home or office. The wireless pay TV space will have loads of competitors – large and small, new and old – and they’ll all move quickly to transform the traditional pay TV industry we have been using for decades. We’ve already seen the traditional cable TV space change over the last decade with IPTV and several new competitors. With mobile pay TV, this will only accelerate going forward. So many companies in so many different industries will follow this same transformation model. They’ll change the way they do business, and that will be the first step toward changing their entire industry over the next decade. There will be first-mover advantages for early adopters. Then the followers will move in over several years. This will transform the fabric of industry after industry. Some of these new ideas will be home runs. Others will struggle. There will also be companies who either choose not to participate, or if they do, won’t be successful. These companies will be at a distinct disadvantage. Knowing the difference between all these types of competitors at this early stage is the challenge. Which corporate leaders will continue to lead? Consider the carriers. AT&T Mobility is one of the leaders in this space. They’re an early adopter. They’ve changed the wireless, telecom and pay TV industries. Next comes Verizon Wireless, a follower. They follow the path AT&T sets, but they’re also a success story. These companies have always been and will continue to be industry leaders. Several years ago, T-Mobile struggled as they missed the move to 3G. They struggled for years as competitors grew. They then regrouped and focused on the 4G rollout and have been growing ever since. So, even when late to the party, companies can recover if they follow the leaders. In the 1990s, Motorola – who once dominated the handset space – missed the move from analog to digital and lost their leadership position to Nokia. This happens all the time and is something every company needs to be aware of. Smartphone makers are a different story. Today the smartphone leaders are Google Android and Apple iPhone. 12 years ago, they redefined the industry. Before that, the leaders in the space were Blackberry and Nokia. And before that, it was Motorola. These are important examples of what can happen to winners and losers as every industry continues to redefine itself. That’s why it’s important to understand the wave of change that continually transforms industry after industry. While it doesn’t impact some companies, it completely redefines others. With all that said, CES 2019 was a great event, and the pervasive wireless angle in every business remains one of the most interesting and exciting stories of the year. Stay tuned: we’ve entered a transformative era and there will be plenty of stories to tell you about products, services, companies and industries in the months to come.